The dust has finally settled on the much awaited Gor Mahia elections. The event happened without a hitch or without any altercations or violence. Those who lost gracefully accepted the results and those who won vowed to work together for the betterment of the club. “We must admit the elections met the threshold of a free and fair elections. We didn’t witness any acts of violence. The counting process was also interactive and democratic” said Owiye, shortly after announcing the winners. The registered voters were 3,002, but only 982 turned up for the exercise, which saw Francis Wasuna elected unopposed as the club’s senior vice chairman. Gor Mahia elections board led by Chairman Patrick Lumumba Adera and vice chairman Mohammed Ibrahim Papa applauded the club members for observing discipline during the exercise. “Today, we saw the true face of democracy. We can avoid violence if we have credible elections. What we have shown is that we can do better, if we put our hearts and mind to it. For those have lost, join the winners,” said Papa. Chairman Rachier for his part says he was confident of victory. “I was extremely confident of victory because of the records I posted at Gor Mahia, including winning numerous silverware and that is one thing, which will remain at K’Ogalo. he said to the Standard. Rachier also said that he will work with all those who were elected. “I had no line up and will work with those elected by members of the club. 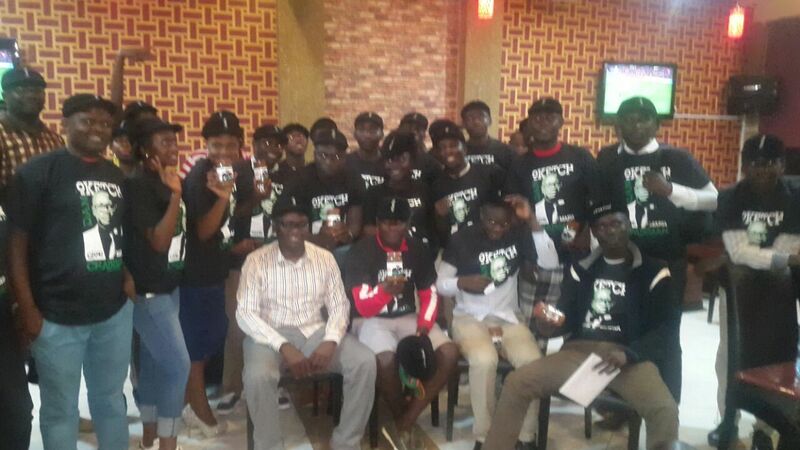 My first duty will be to reunite all K’Ogalo fans and candidates. I know there are some divisions, but I intend to work closely with those who contested against me.” said Rachier. “My second task with my new committee will be to deal with our club’s constitution so that we can be compliant with the Sports Act. We have deadline of June 16, 2017 to be compliant with new guidelines for club licensing. We also hope the case filed in court, which will be mentioned on Tuesday (today), will be withdrawn” he said. Creating a new constitution would mean streamlining the club and would neccesitate ridding the club of many of the current positions includinhg secretary general. Among those who gracefully accepted defeated was Joseph Ogidi, a former musician of the GidiGidi MajiMaji fame. “Thank you so much to the Kogalo fan base for the support. We live to fight another day. Congratulations to the new Secretary General Ben Omondi and to my worthy opponent Sam Ochola. Let’s now work together to transform Gor Mahia. God bless” said Ogidi on his social media pages. Newly elected Secretary General Ben Omondi for his part thanked fans for engaging in a peaceful process and for accepting his vision for the club. “I wish to take this opportunity to thank the entire Gor Mahia fraternity for a peaceful electoral process. I appreciate the enormous work done through my secretariat headed by Eng. Dan Opata (Jasoda), Betty Opondo, Gilbert Otiende and Joshua Amayo. “It’s now down to business and building a stronger united and prosperous Gor Mahia. I commit to run a foot ball club that you will all be proud of supporting. ” continued Omondi. The Gor Mahia election board has released the full list of 26 aspirants. Faiz Ochieng Magak who was voted out last time, is attempting to make a comeback to the 1st Vice Chair Position. 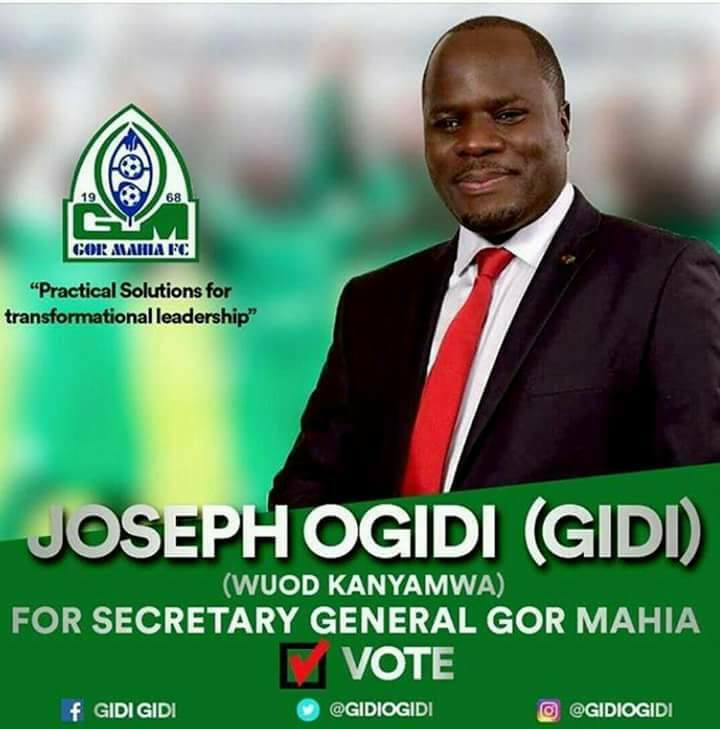 Former musician Joseph Ogidi, of the Gidi Gidi Maji Maji fame, is trying to be the club secretary general. Long serving club official, Ronald Ngala is confident of beating his opponent Reuben Ojijo. “I do not know him that well so I cannot say what I have that makes me have an edge over him but I am positive of defending my seat. There are things that I would also love to change once I am re-elected. I want to make Gor Mahia better far much better than the way it is at the moment, that’s what we are working on, we just want to improve from what we have done. There are a few areas where we did not accomplish and we want to improve on”, he said to futaa.com. Chairman: 1) Ambrose Otieno Rachier, 2) Chrispine Omondi , 3) Dan Oketch Ang’ila. Senior Vice Chairman: 1) Francis Wasuna . 1st Vice Chairman: 1) John Pesa , 2) Faiz Ochieng’. 2nd Vice Chairman: 1)George Oria Ongudi, 2) David Oduol Kilo. Deputy Secretary General: 1) Ngala Ronald Ng’onga , 2) Ruben William Ojijo. Assistant Deputy Secretary General: 1)Kevin Odhiambo Mbuya , 2) John Ochieng Onyango. Treasurer: 1) Kennedy Ouma , 2) Sally Bolo, 3) Jared Odhiambo Omolo, 4) Chito Moses Njeria . Organizing Secretary:1) David Ochieng Nyandega , 2) Judith Anyango. Assistant Organizing Secretary: 1) Sammy Ochieng Ogola, 2) Beryl Peres Anyango. The elections will be conducted on Sunday, December 11 at Kasarani stadium. The electoral board that will oversee the December 11 elections has been named. Gor Mahia has appointed Patrick Lumumba Adera, an Assistant Inspector General of Police to head its new electoral board. With only a week to club elections, Ambrose Rachier (pictured), the Gor chairman announced that following the resignation of retired Justice Nicholas Ombija and two other members of the electoral board, there was need to reconstitute the a new body. Ombija and two other memebrs of the board resigned after there were concerns from all sides about handling of the whole voters verification proces and claims of threats directed to the board memebrs. Through a press release to newsrooms, Rachier stated that the move was to guarantee a credible and peaceful electoral process within the club. “Mr. Lumumba, who will chair the board, is an Assistant Inspector General of Police and a respectable police officer who brings with him a wealth of experience in security management and public office administration,” the letter read in part. At the same time, Rachier confirmed exclusively to FeverPitch that the Kenya Police Service was already investigating allegations of threat to Ombija and his team. “As an advocate of the High Court of Kenya, I am determined to up hold the rule of law and at the same time ensure that club affairs remain above board,” said Rachier. The new Electoral Board 1. Chairman – Patrick Lumumba Adera 2. Vice Chairman – Ahmed Ibrahim 3. Secretary – Kennedy Mbara 4. Treasurer – Gichu Wahome. 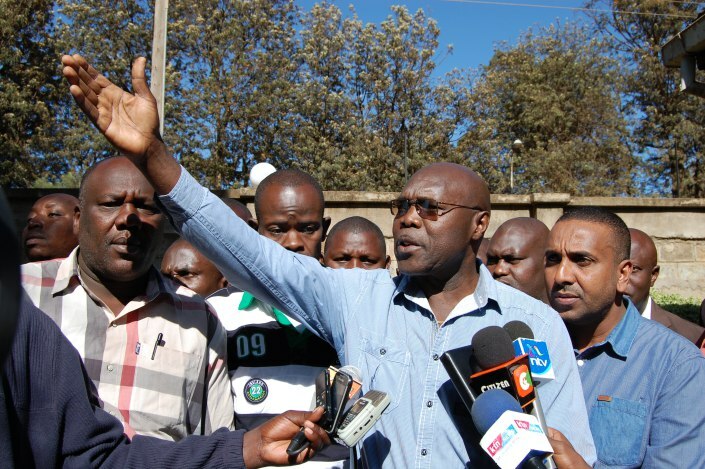 A section of Gor Mahia branch officials were due to stage a demonstration on Friday. 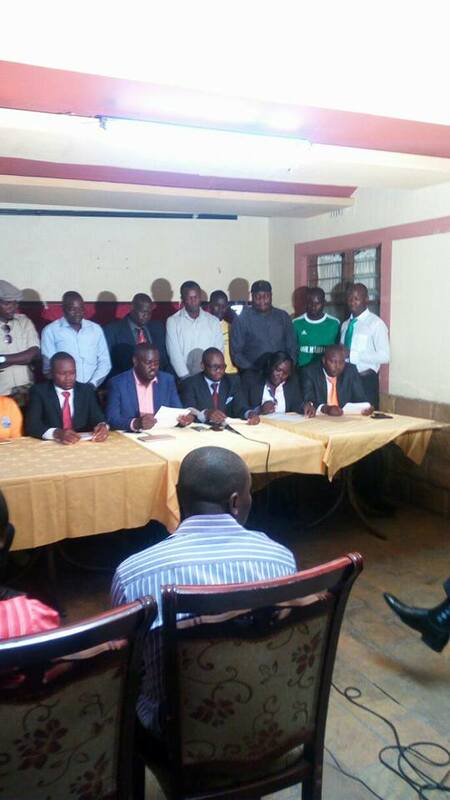 According to goal.com, the branch officials held a press briefing in Nairobi. The club members led by their branch officials said that the demonstration will begin at Tom Mboya monument and end at the offices of the club chairman Ambrose Rachier in Upperhill where they intend to petition him with their concerns. We have therefore, resolved as Gor Mahia branches that we will stage demonstrations within Nairobi town to the offices of the current chairman Ambrose Rachier and the patron’s offices in order to bring to his attention concerns and the going-ons at the club. We reiterate that we will not relent in our efforts to have credible, free and fair elections and plans are afoot to start parallel manual registration of genuine Gor Mahia fans.” said Dan Quinch, the secretary general of Thika branch. The branch members are accusing the EC of trying to rig themselves back into office by using the online registration process. “Gor Mahia office led by the chairman is forcing down the so called online registration without conducting voter education to our members on how the system works. The branches don’t feature anywhere despite having been paying Sh10, 000 annual subscription to the very office.” said Carilus Onyango, the chairperson of the branches council. “We are also worried that this process opens up our elections to everyone including those, who are not genuine fans of the club.” they continued. Chairman Ambrose Rachier for his part has said that the concerns have no basis. Meanwhile Ronald Ngala has explained why the club will not go to court to fight the IDCC ruling that deducted three points from the club thus costing them the league title. “As a club we are not going to court; that is the position from the club officially. When we were docked points, we explored all available options for appeal and legal redress, so after failing we had to live with the ruling. If anyone is going to court then that is not the position of the club despite the fact that we feel the decision was too harsh on the team,” he said according to supersport.com. 2016 will be remembered as the year when a fan action literally cost the club the title. An aspirant for Gor Mahia’s chairmanship in elections slated for December 11, has promised to institute far reaching changes that will be beneficial to the club in the event that he wins. Dan Oketch, has said that part of the measures would be to transform Gor Mahia to adopt the FC Barcelona model. “Our club has goodwill and fan base which is unmatched in the region. We have a ready market. Gor Mahia is a goldmine which is ready to explode. This is a virgin enterprise that can grow if well-handled but lack of visionary leaders, lack of accountability, poor handling of gate collection has affected the club. I want to change and turn the club to a business oriented club in the model of Barcelona with passionate fan base,” he said. Oketch also said that he will ensure the club has its own stadium that will give them 100 per cent control over match day revenue, stadium naming rights, pitch side branding and hiring out the facility to other users to generate revenue and also set up different levels of youth structures beginning with the under-15 side. Oketch will face off with incumbent Ambrose Rachier and former club secretary general Chris Omondi in the elections. According to Citizen Sports, the incumbent Executive Committee hired overseas based IFEOS to carry out the registration and aspirants claim the firm has been compromised. ““The spirit of justice and fairness has been defeated by the interference from the Executive Committee led by Rachier. How will IFEOS operate independently yet their selection was done in secret?” Dan Oketch an aspirant for the Chairmanship asked. The aspirants also accused the current office bearers of violating the club Constitution by hiking the registration fee. “What were the criteria behind raising it from the Ksh100 to 500? Who ratified this increase, given the club has not held an Annual General Meeting for two years? We want to know the system put in place, if any, to ensure the so called online registration is not abused and only credible Gor fans participate in the process,” continued Oketch. Chris Omondi, also an aspirant for the Chairmanship, accused the club of not taking steps taken to create awareness and educate fans on the new online registration warning the more stakeholders are locked out of the exercise, the election will be compromised and defeat its purpose. “We demand the office to engage aspirants and members in the appointment of an independent Electoral Board which must be involved right from voter registration to election in consultation with all stakeholders,” said Omondi to Citizen sports. MEMBERSHIP in my opinion remains the only surest way of UNLOCKING our clubs potential…I have always attributed our underdevelopment as a club to our leadership’s failure to STRUCTURALLY HARNESS THE GOODWILL THE CLUB ENJOYS and it is on the same breath that I opine that structurally defined MEMBERSHIP remains a viable option out of our current mess….it is a high time we DIFFERENTIATE between FANS AND MEMBERS….I strongly posit that FANS should be partakers of the brand Gor Mahia, while MEMBERS should be the owners and decision makers of the club…let fans be “the clients” of the brand (by paying gate charges, buying club merchandise e.t.c.). BUT when it comes to decision making in such matters as elections, referendum e.t.c., then it is the members, affiliated branches and club leadership who should be responsible. The current scenario (which I can humorously refer to as “MANYWANDA OD OTENGA”) where everybody and ‘everynobody’ can purport to have authority on Gor issues should be overcome/transcended!! – Discounts on Gor Mahia merchandise (that will be centrally sold from our envisaged merchandise shop). – Discounts on Seasonal Tickets once implemented. – Eligibility to vote in club elections or other weighty club matters fronted the club Executive. – Participation in monthly draws/ticket raffles of club merchandise. The membership will be renewed annually with the exception of MAYBE LIFE MEMBERSHIP if passed by members during the debates on the new constitution. We propose that renewals and new registration be done between December and February 28th of every year such that by March 31st we have a verified membership register. Cognizant of the economic classes in our society, we propose different levels of membership with attendant differences in BENEFITS….Put differently, it is foolhardy to have different economic class in one level of membership, I opine such differentials can be exploited for the benefit of the club….we suggest Gold/Life Members, Silver and Ordinary Members with each member having one vote. Benefits, Privilege, and powers to be enjoyed by these tiers of members, as well as membership fee, shall be determined in a Constitutional Conference. From the foregoing, it is my belief that I have outlined the structure of membership, intended benefits, levels of membership and averred the One Man One Vote Principle as the guiding principle. 6. Social roles such as CSR activities and related ventures as the concerned branch(es) will deem appropriate to them. I am not afraid to share further, my opinion on the role of branches…..fellow Gor Mahia followers, we need A RADICAL RETHINK on the role of branches in Gor Mahia FC…I opine that BRANCHES AS CURRENTLY CONSTITUTED CANNOT NEITHER UNDERGIRD NOR CATALYSE THE ENVISAGED TRANSFORMATION OF OUR CLUB. Some radical changes need to be made to transform them from social clubs to agents of change in our club. I suggest that we need to INCREASE THE THRESHOLD of what constitutes a branch for such a body to be recognized and affiliate to the club. Membership and Branch affiliations SHOULD BE one major stream of revenue for our club but that isn’t the case because of lower thresholds in terms of fees paid. For instance, why should we have over seven branches in Mathare 4A, 5 in Umoja, 5 in Kibera, 3 in Huruma, 3 in Kariobangi North, 5 in the “Social media”? Personally, this does not add up. 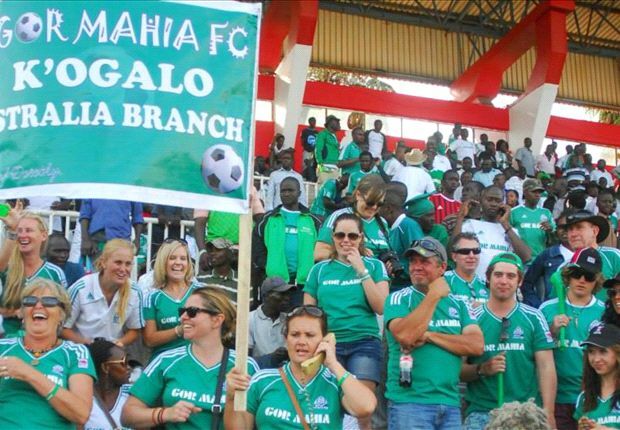 JoK’Ogalo, as stated above, Branches have greater roles to play in our club that include being the first markets for club’s products/merchandise. However, to maximize on their potential, things have to change. I propose that a minimum number be set on how many registered Gor Mahia members should a branch have as the first requirement. Regarding this I propose a minimum of 50 registered Gor Mahia members.The affiliation fee need to be adjusted upwards to make it prohibitive for “personality cults” disguised as branches. Kshs.10,000 is too little in my opinion and an individual can pay that and possess a briefcase branch. Adjusting the figure upwards would go a long way in “killing” such briefcase entities, raise revenue for the club and sound a death knell to branches that come to life only on the eve of elections. We currently have 109 branches that do not re-affiliate annually but when elections are called, some 80-90 will pay the 10k affiliation fee (mostly paid by aspirants) bringing in a paltry 800-900k to the club-there was no direct membership to the club in this scenario. Scenario 2 has an increased threshold where each branch must have a minimum 50 registered club members e.g. at Ksh. 1,000 each and the affiliation fee is pegged at say Ksh. 50,000-100,000 if we have 50 branches we could be talking of Ksh 2.5 million in terms of affiliation and another Ksh. 2.5 million from their members. What of those directly registered!? Aren’t we talking of over Ksh. 5million per annum from Membership and Branches!?!? Just one revenue stream. On branches as the first market for club merchandise, are we not talking of a minimum 2500 kits, what of their households? Do the math. Ladies and gentlemen, structurally harnessing the GOODWILL the club enjoys will call for SERIOUS DECISIONS and SACRIFICES to be made. Under our leadership we shall involve all the current members and branches so that they own this envisaged transformation process. I don’t think there are any other shortcuts unless we want to go the Roman Abramovichs, Glazers route. Lastly, when the branches become restructured and are playing their anticipated roles, we can start thinking of a SUPPORTERS TRUST. with such we can pull resources and mutate to SUPPORTES OWNERSHIP of the club in which 50+1%-60% can be controlled by members and the remaining sold to corporate entities to INJECT the required capital for mega projects such as club house, gym and stadium. Here is an example, Bayern Munich is largely fans owned and only sold 18% to Adidas and Audi in 2009 in return for 165 million Euros that went into the building of the Allianz Arena and with the selling the naming rights to Allianz Insurance company, the stadium was built and the loan is still being repaid. Put differently, it is obvious MEMBERS can own and manage a big club. 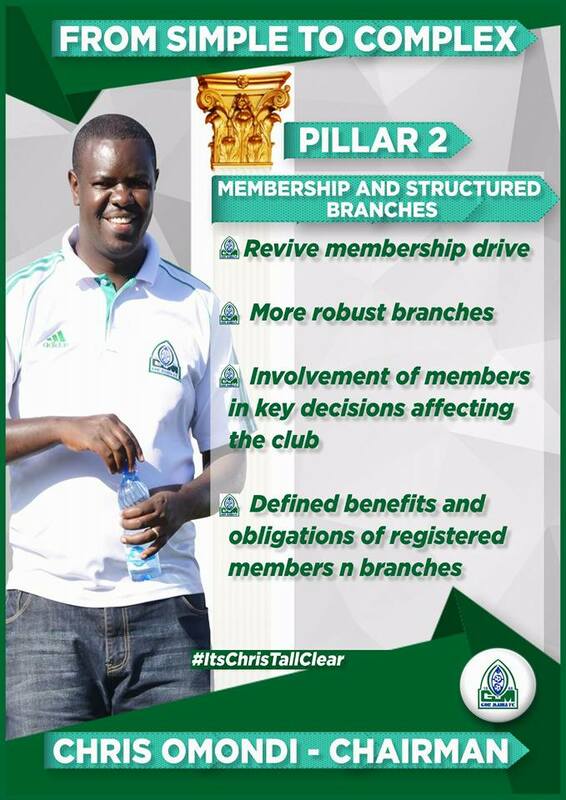 Structured Membership and revitalized branches are the panacea to the ills afflicting our club. God Bless you and God bless Gor Mahia F.C.